It has been 10 days since my last post. Our summers are short, but oh so busy in Alaska! Gardening, yard work, fishing, ball games…. so much to do. 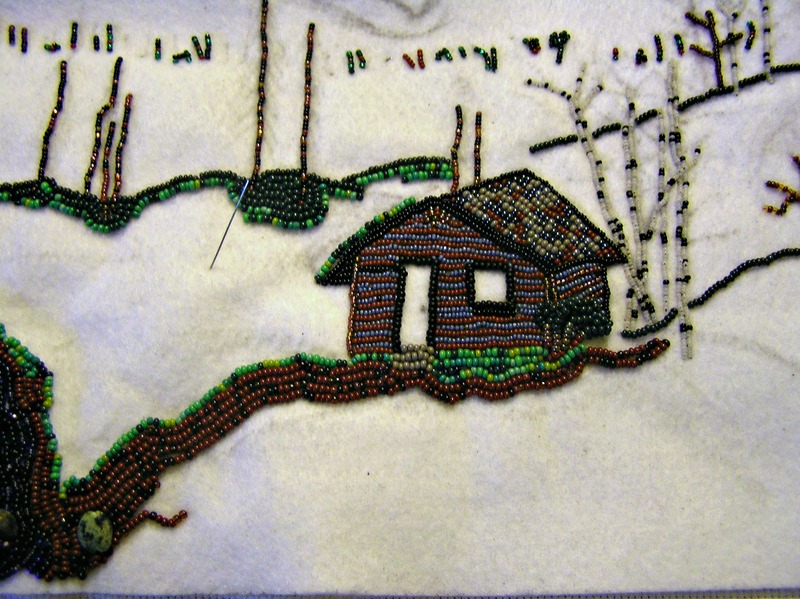 With all the fun things I get to do I have not been spending as much time on my beading. I got the water area completed, added a nice bunch of rhubarb to the corner of the cabin and started to fill in the pathway. Tomorrow I am sitting in my screen tent and beading. It is supposed to be 77 degrees ! Enjoy these summer days.